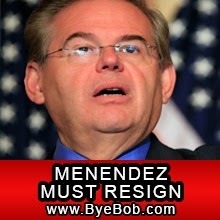 Washington, D.C.— American Commitment is launching a petition drive urging Sen. Bob Menendez to resign immediately. 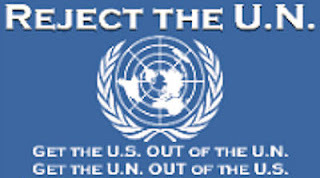 News reports state that the Justice Department is planning to bring criminal corruption charges against the U.S. Senator from New Jersey, and the two-term legislator faces imminent arrest and prosecution. American Commitment contends that Bob Menendez accepted lavish private jet trips to luxury resorts and huge campaign contributions from Salomon Melgen, a Florida doctor accused of a massive Medicare fraud scheme. Bob Menendez admitted accepting undisclosed private jet flights from Melgen, and was caught pressuring high-ranking officials not to investigate Melgen's Medicare fraud scheme. He was also caught manipulating a port security contract worth hundreds of millions of dollars to benefit Melgen. Tags: American Commitment, petition, Bye Bob, Sen, Bob Menendez, corruption charges, should resign, To share or post to your site, click on "Post Link". Please mention / link to the ARRA News Service. and "Like" Facebook Page - Thanks!